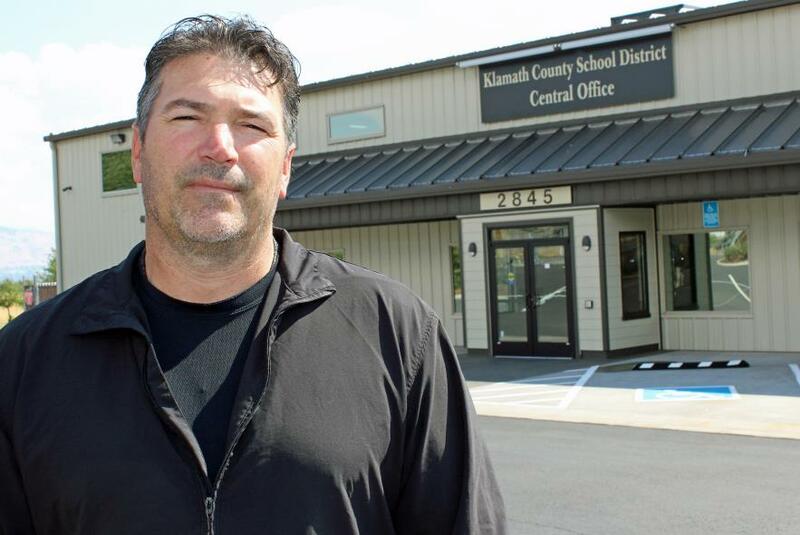 Justin Azevedo, maintenance supervisor and project manager for the Klamath County School District, has announced plans to leave his position and move from the area to pursue new opportunities. His last day is Nov. 2. Klamath County School District’s maintenance supervisor and project manager is leaving the area and the district Nov. 2 to pursue new opportunities. Justin Azevedo joined the school district in 2012 and was a key player in managing a $31 million voter-approved facilities bond to build a new Henley Elementary School and perform major upgrades to schools throughout the district. He also reorganized the district’s maintenance department, hiring a highly skilled crew that is credited with constructing a new classroom building at Peterson Elementary and remodeling buildings for the district’s central office and maintenance and transportation headquarters on Greensprings Drive. “Under Justin’s leadership, the district has been able to secure arguably if not the best, one of the best, crews in Klamath County,” said Mark Greif, director of human resources for the Klamath County School District. The district is currently taking steps to seek a replacement for Azevedo’s position, Greif said, adding that a job announcement should be publicly posted next week. Azevedo, who grew up in Klamath Falls and attended Henley High School, owned and operated Fairway Plumbing before selling the business in 2011 and taking a position with the school district. Under his tenure, the school district completed 41 projects funded by the facilities bond, including the new school. With savings from projects that came in under budget and energy rebates and incentives, Azevedo was able to add more projects – an expanded bus loop at the Henley Complex, new bleachers for Brixner and Lost River schools, new lighting at Mazama High School, an HVAC system for Lost River, and various other projects. He focuses on making sure projects are done efficiently, with an eye toward the future. For example, some projects such as upgrades to lighting and boiler and HVAC systems will save the district money in the long run. Azevedo and his crew also did seismic grant projects at Henley Middle and Peterson Elementary schools. Azevedo was an integral part of choosing a site as well as designing the buildings and functionality of the district office headquarters on Greensprings Drive. The district’s crew did most of the work while maintaining the district’s school buildings at other sites.